My name is Jasmine and my pronouns are She/Her/Hers. I’ll start off by saying that I’d say that I consider myself a quadruple minority. Meaning, that there’s multiple aspects to my identity which have forced me to be in a position where society constantly forces me to have to prove and validate myself. As a woman, I need to validate myself. As a woman of color, I need to validate myself. As a QUEER woman of color, I need to validate myself. As a femme, queer, woman of color, I need to validate myself. With me having “straight passing privilege," it’s too often that even within the LGBTQIA+ community, I constantly need to validate my identity, yes, I’m queer. Constantly having to ask the rhetorical question of, “Am I not queer enough for you?”. It’s simple, I’m here and I’M QUEER, and I don’t need to validate myself to, or for, anyone. People come in all uniquely different variations, and they’re beautiful in every way. As a society in general, we need to stop creating these cookie cutter molds for what each other is “supposed” to look like based on how they identify. We’ve been oppressed for much too long, but how can we expect for there to be progress within society, if we continue to oppress those within our community? Let’s celebrate how uniquely beautiful each and every single one of us is. Let’s build each other up as human beings. ​Let’s be the support system that individuals so desperately need. To those who may be reading this who may be “closeted”, who still may be unsure about their identity, or , to those who can relate to anything I’ve said, I see you, I’m proud of you, and YOU are beautiful! Jasmine Delgado's pronouns are she, her, hers. 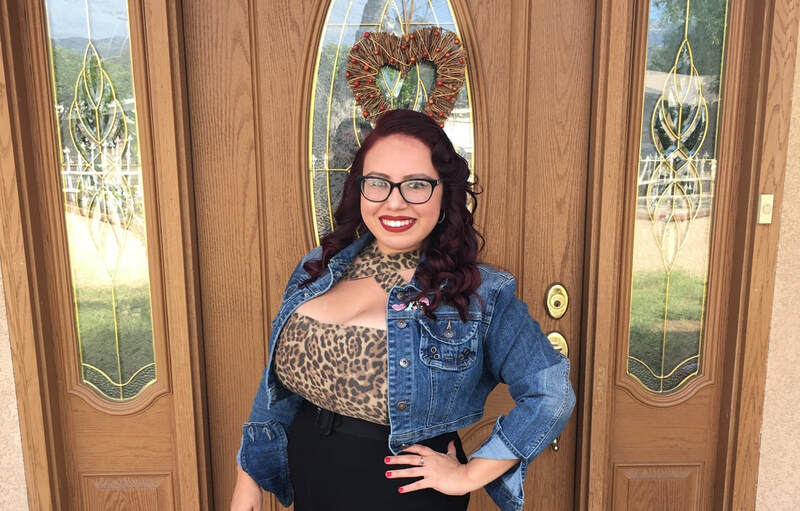 Jasmine from Sylmar, a proud SOMOS FAMILIA VALLE member, is a queer, femme, woman of color. She enjoys spending time with her family and friends, going to the beach, and photography. She advocates for LGBTQ+ youth, those who have been through trauma as well as being a voice for the voiceless. What gives Jasmine hope and meaning in life is using the platforms and privileges she may have for the greater good. She is one who loves to be a helping aid in building people up to their full potential. She would like to dedicate this piece to those in her life that have been there for her through the thick and thin. More specifically, she dedicates this piece to her sorority siblings; for the strength of the pack is the wolf, and the strength of the wolf is the pack.